Slight chance this cluster of storms north of Puerto Rico could develop into a tropical or subtropical cyclone the next few days. 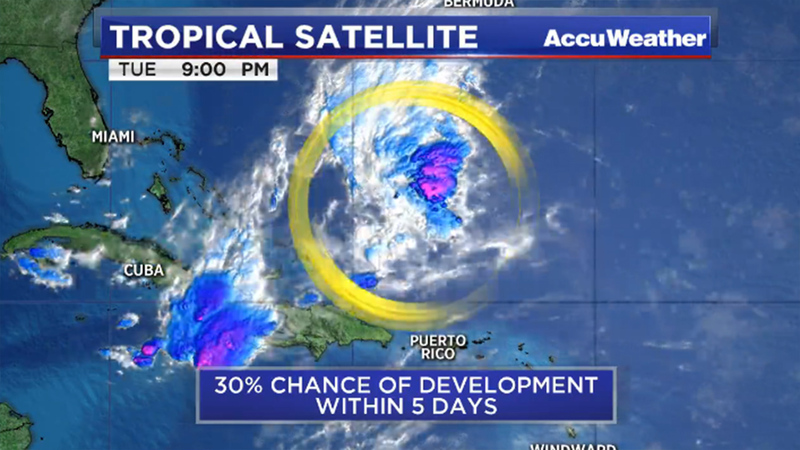 The National Hurricane Center says there's a slight chance this cluster of storms north of Puerto Rico could develop into a tropical or subtropical cyclone the next few days. The storms are expected to move northwest toward Florida, Georgia and South Carolina. This should serve as a reminder that hurricane season starts June 1. We've been talking a lot about strong thunderstorms, torrential downpours and flooding the last few weeks. Now it's time to start watching the tropics again. Download the free abc13 weather app to keep track of the tropics this upcoming hurricane season.